Being an American over the last few years has often been an exercise in the surreal. School shootings, social justice protests in sports, a sensationalized faction of the press that often cares more about the number of clicks than the truth, a legitimate section of the press that experiences daily attacks rife with Orwellian statements like “truth isn’t truth,” the quantitative cuteness of Porgs–the list goes on and on. And of course there is the Cheeto and Chief sitting in the White House. To say we (specifically Americans) are living in interesting times is an understatement the size of the Batcave. What’s equally distressing to me is this culture of faux outrage that permeates society. And don’t get me wrong, I’m NOT talking about things we should be legitimately outraged about. People should be outraged about sexual assault and abuse whether it’s in Hollywood or high school. People should be outraged about school shootings that could have been prevented. People should be outraged when someone of any race, ethnicity, or background gets gunned down by authorities for no apparent reason. That’s not the type of outrage I’m talking about. However, being outraged about strong female characters in The Last Jedi, or Henry Cavill being cast in a Netflix series rather than a major motion picture, or the fact that there is going to be a Best Popular Film category at the Oscars doesn’t really register on the same level. I get some people are upset by these topics and may criticize them harshly. Hell I’m no exception. I’ve done my fair share. But outrage? What a waste of time and energy. 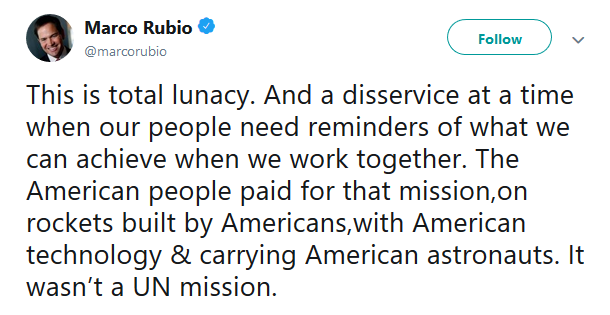 Lunacy? Ahhhh I see what ya did there! At this point I should probably be taking uninformed, ignorant statements from politicians as a matter of course, but this still bothers me. What’s most distressing is Senator Rubio makes an assumption here. Namely, that the omission of the flag planting in First Man means that the Apollo missions weren’t overtly American. (Spoiler alert: they were.) Furthermore, that by excluding the moment from the film that First Man is either at worst anti-American or at best not American enough. Both of these ideas are ridiculous to the point of absurdity. 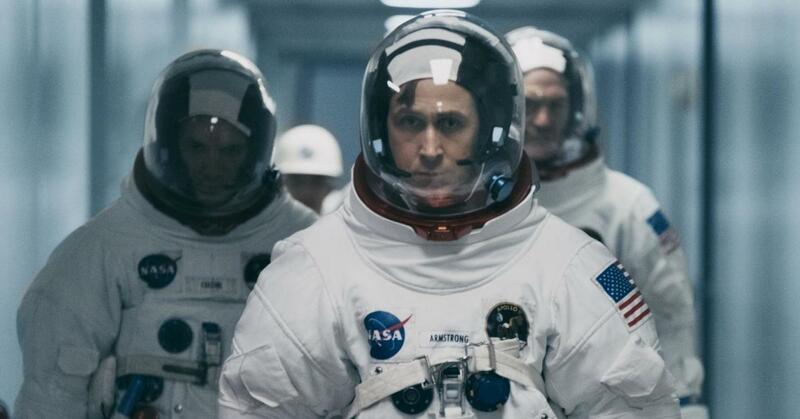 And ultimately the film is called First Man, as in the First Man on the Moon, as in Neil Armstrong. This film remains ostensibly a biopic pic. It isn’t The Right Stuff or even Apollo 13. 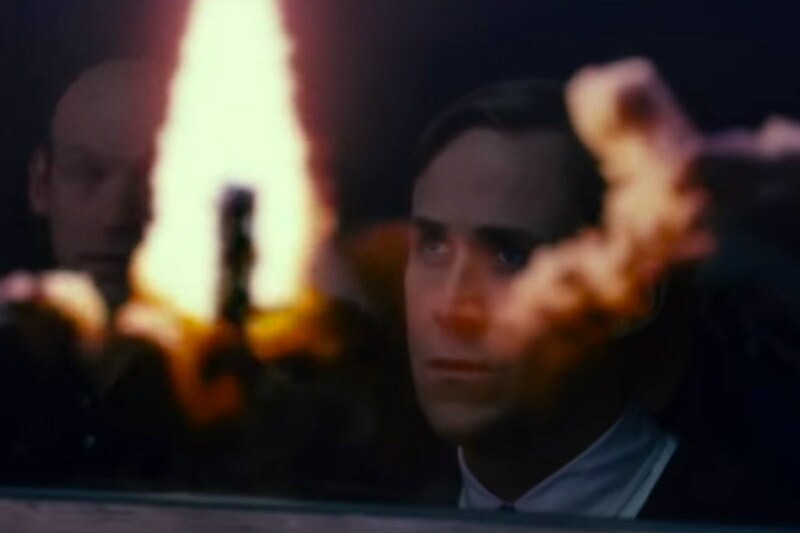 By all accounts First Man amounts to an intimate character study of a reluctant American hero and how the race to the moon impacted him personally. Film critic Tomris Laffly maybe says it best remarking that, “Damien Chazelle’s poetic moon-landing saga intimately portrays the thorny headspace of quiet American hero Neil Armstrong.” This suggests that while the space race and the Apollo missions are (obviously) essential and integral pieces to the film, the movie is more about the man than the events themselves. If that’s what you’re looking for, there’s plenty of excellent documentaries out there such as HBO’s From the Earth to the Moon. And there it is. “See for themselves.” Keep in mind that First Man is just now making the rounds at various film festivals (Venice, Telluride, TIFF) before its world-wide release next month. At the time of this writing there are only twenty-five reviews on Rotten Tomatoes. A very small portion of the public has even had the opportunity to see First Man. Yet people are making these blanket statements WITHOUT EVEN HAVING SEEN THE FILM. That’s like saying I’m an authority on arson because I saw a preview of Backdraft once. It’s asinine. As a critic and a fan of film, I’m not going to judge a movie I haven’t even seen yet. I’m pretty positive that First Man isn’t anti-American but I can’t say that definitively, because I haven’t seen the movie yet. I’m reserving judgment because it is the sane, logical, and rational thing to do. 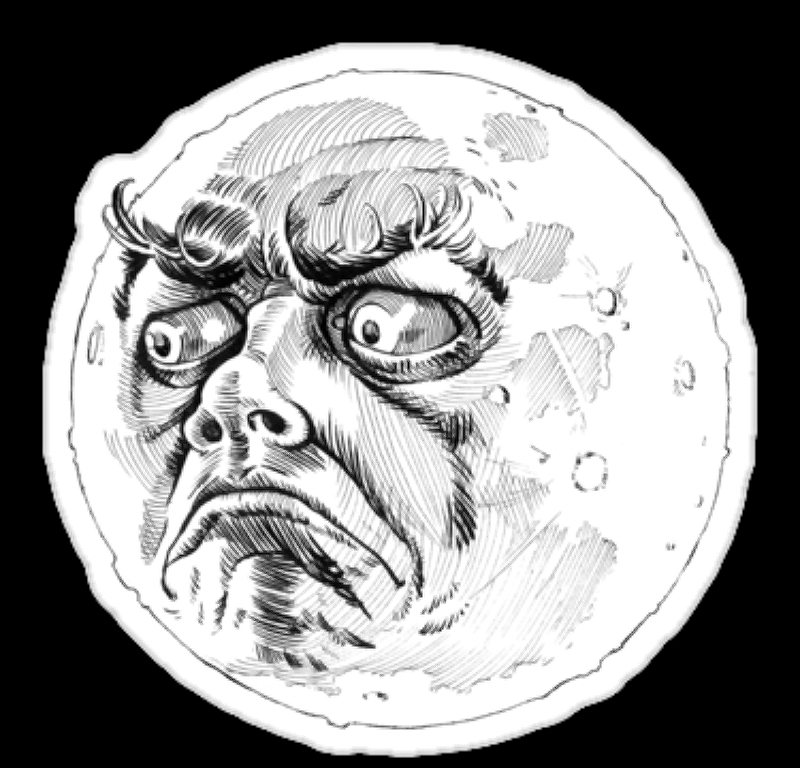 All of this discussion is moot anyway because the moon landing was faked by Stanley Kubrick. I am getting a little tired of people hating on projects based on what they think is going to happen in something they haven’t watched yet.. This happens a lot on Tumblr and its always exasperating. All I can genuinely say about a movie I haven’t watched is that I hate the trailer, or the trailer didn’t inspire me to watch the movie. But i have seen people craft whole multi-page essays based on fretting about what they think is going to happen in a fim. I want to tell them not to fret. Just wait til it comes out and read the reviews, or look up the synopsis on wikipedia or something, and then get mad.